Part of my recent stash haul from LadyP was a trouser weight cotton (drill…? Twill…?) with just the tiniest bit of stretch to it. 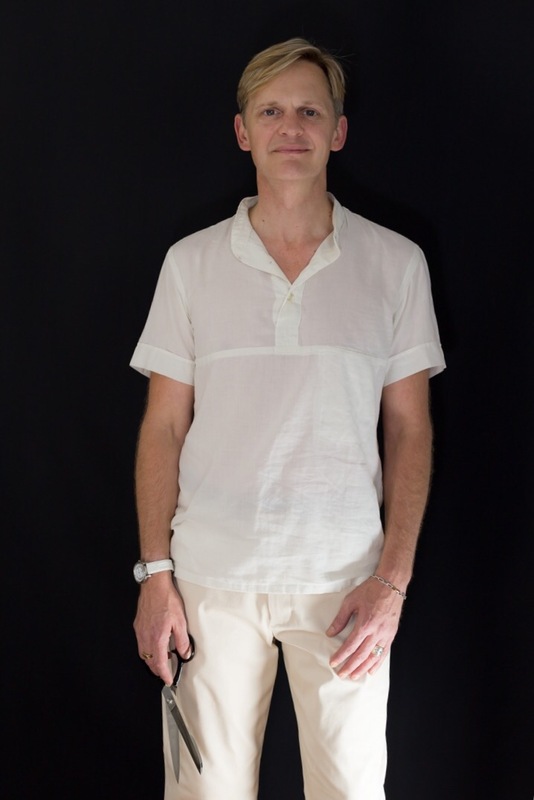 It’s an off white/ pale cream colour and perfect for a pair of classic chinos. Summer is nearly over so (I’m hoping to wear them on bright Autumn days too, however) I knew I’d better get my skates on. 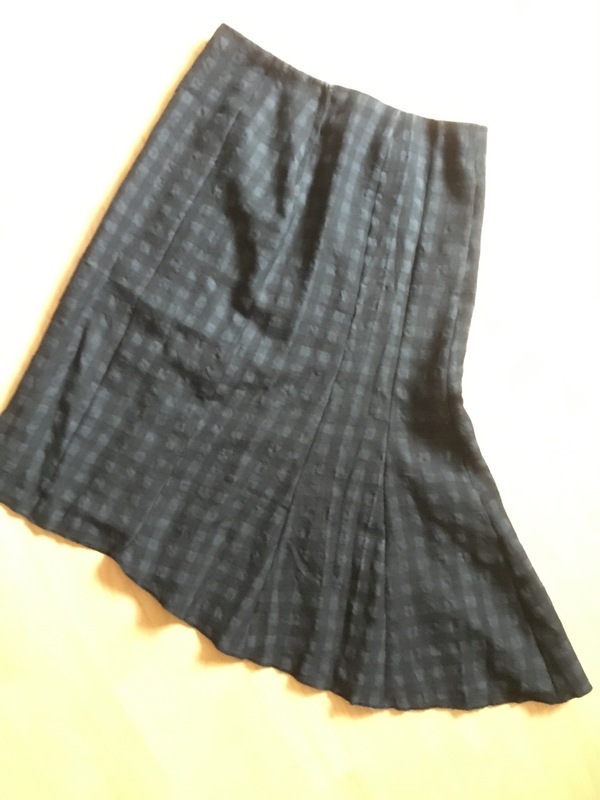 They’ve got a nice, almost vintage wide leg, no back pockets (although I may add some welts another day… We’ll see…) I like the seam in the waistband, it really helps get a good fit, especially for me as I sewed the waist part at 1cm after trying them on. 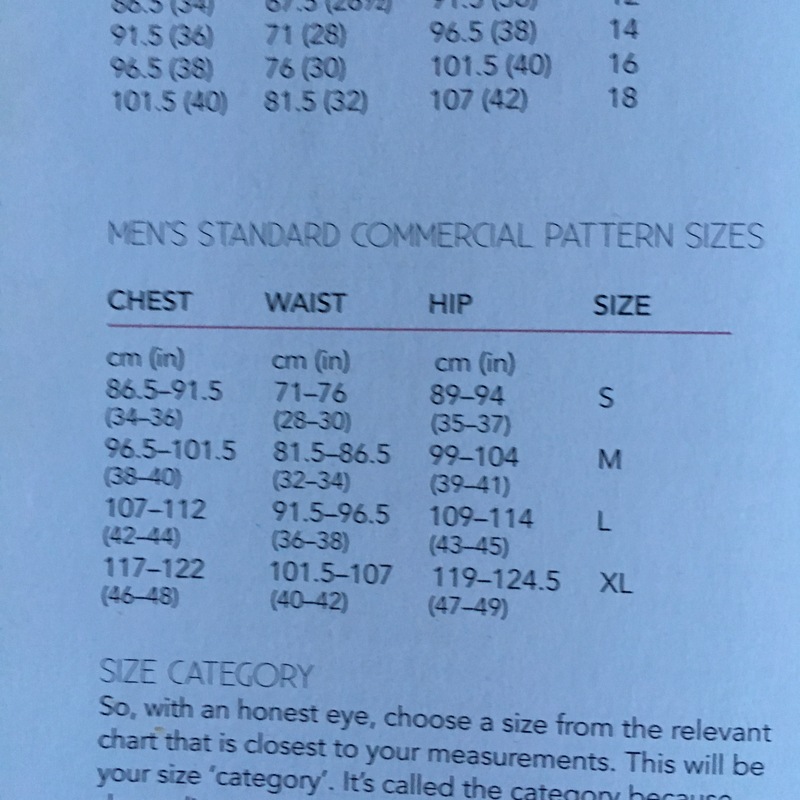 The size chart is a little vague but I’m also pretty amateur, I’m also quite straight-up-and-down from the front; these trousers don’t have any waist darts, the shape is all in the side seam. It’ll probably be a good idea to switch that in the future… In the future… When I add pockets. I cut them out, overlocked & applied the pocket facing, then attached the pockets to the front. 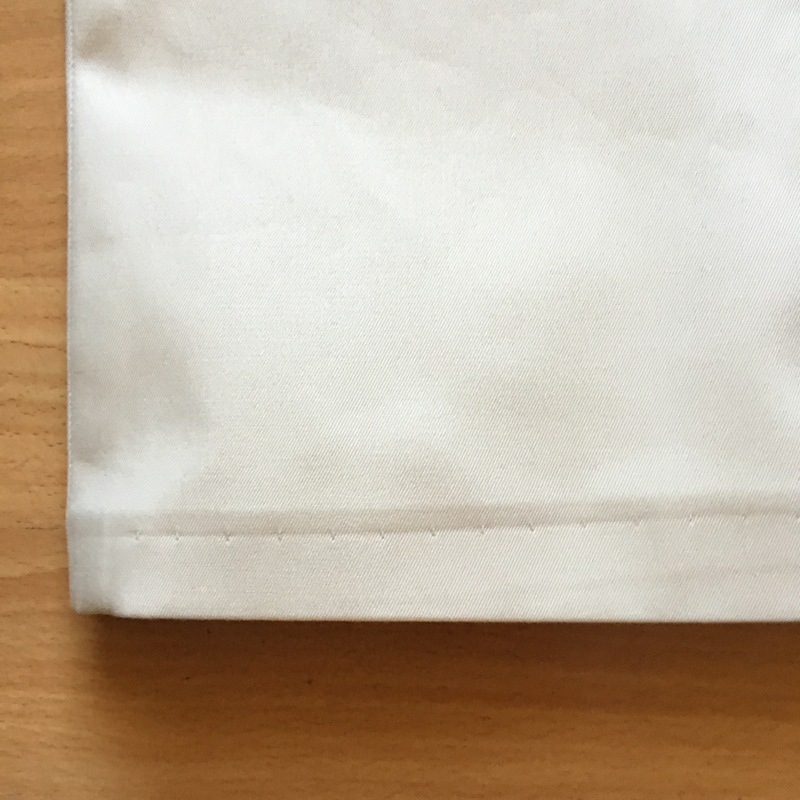 I wanted a minimum of visible topstitching (mainly because my ‘cream’ cotton thread wasn’t quite Cream enough) so I understitched all the seams I could. I sewed them up on my Janome DKS30 but I also overlocked almost everything as I went along. It’s a bit tight with both machines up on the table, but I do love an overlocked seam. 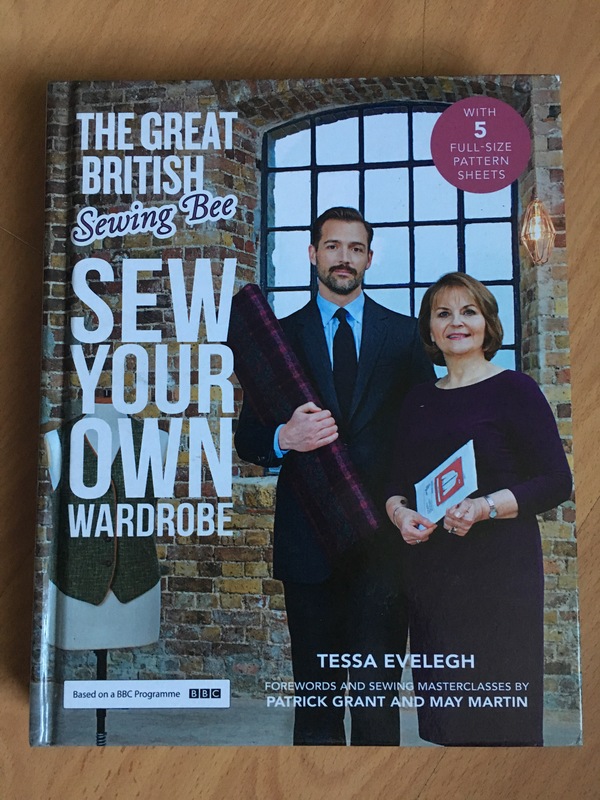 And it’s well worth the time spent changing the thread colour on my beloved (but temperamental) Brother 1034D Overlocker. Then it’s on to the fly. The only confusing bit is right at the start…The rhythmic; ‘Sewing the crotch up to the notch’. 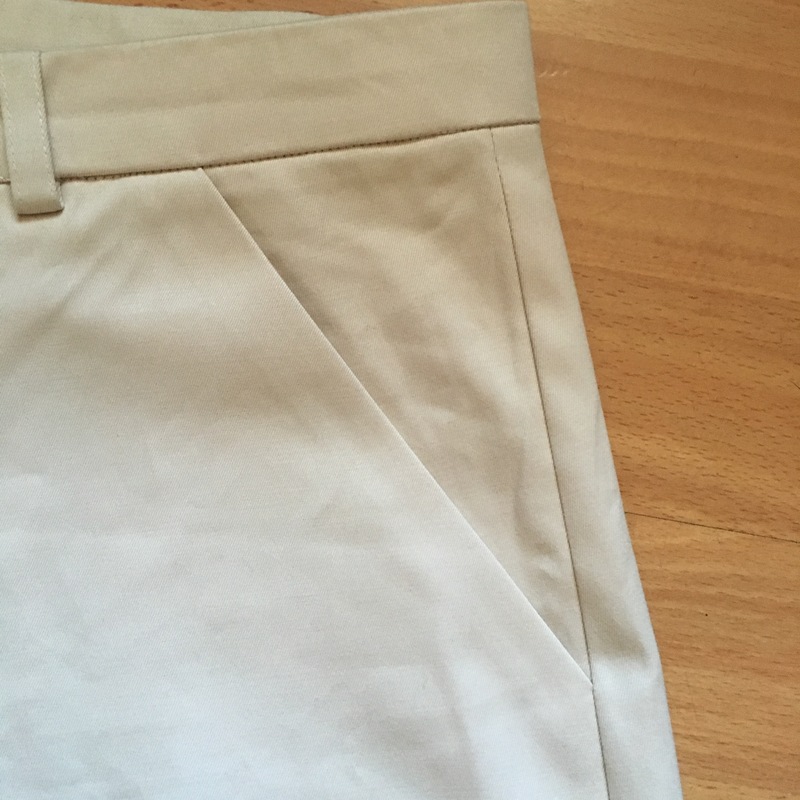 The notch isn’t clear on the trouser pattern piece, but is nice & obvious on the left facing piece. Measure it from there & it all lines up. 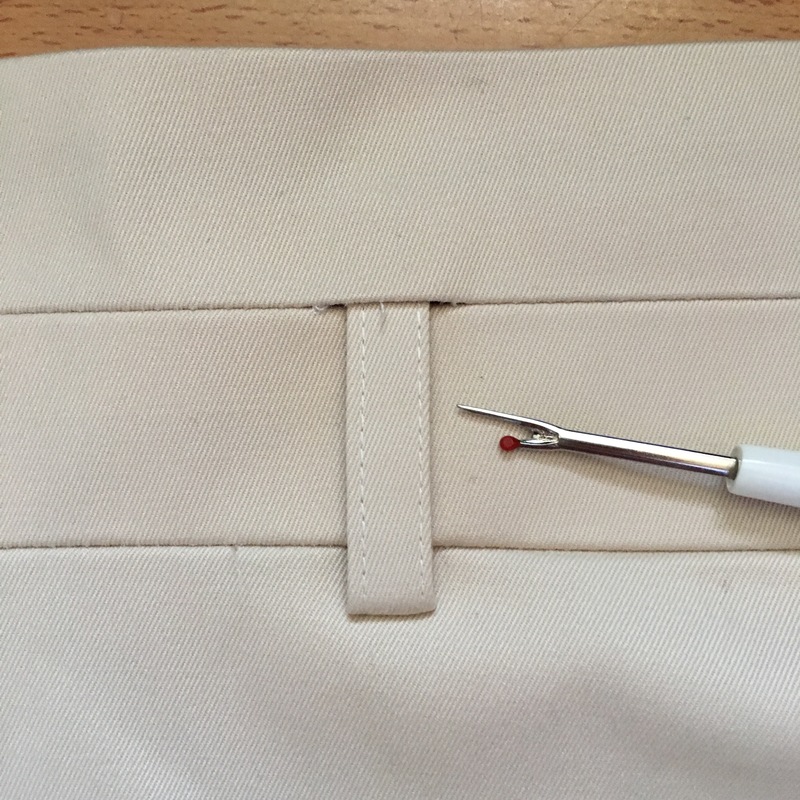 Sew the crotch seam to the notch. Overlock the left fly facing curved edge & sew the straight edge to the left front, from the notch. 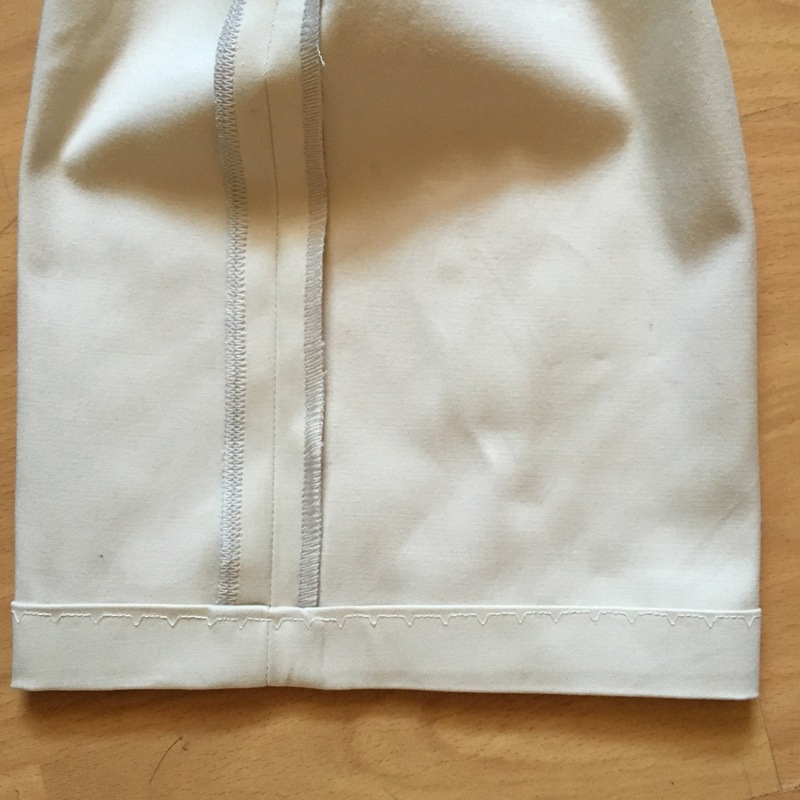 Fold & press a narrow allowance on the right side, fold the zip shield & overlock the raw edges. Make a zip sandwich on the right side of the fly, position the zip with the teeth just showing under the right fly opening, then position the zip shield underneath, lining the edge with the zip. Pin/ glue & sew. Zip up. Position, pin & sew the left side of the zip to the left fly extention. 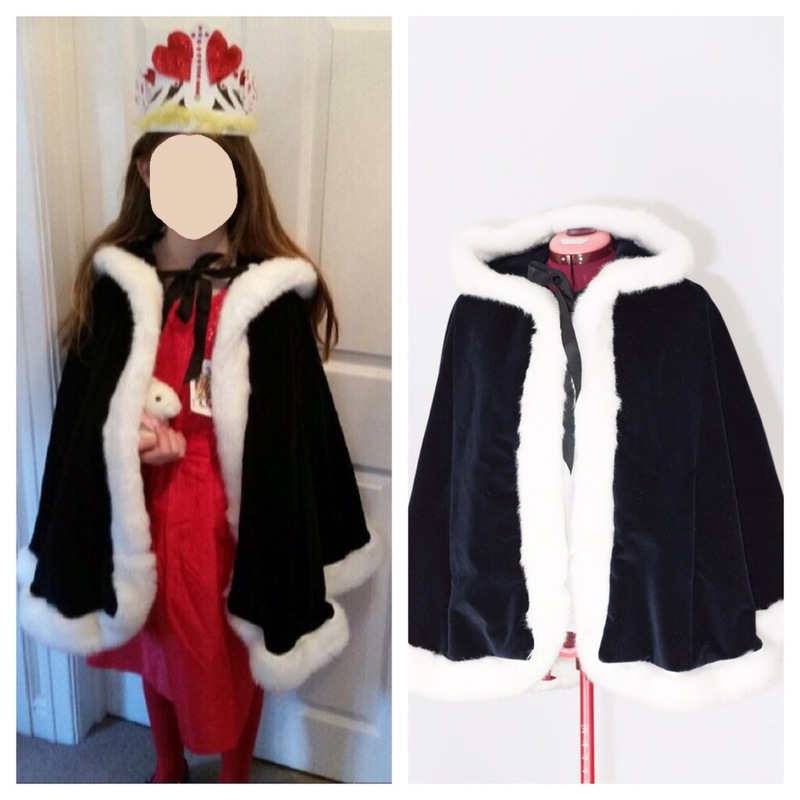 Keep the zip shield out of the way while pinning, marking & sewing the fly topstitching. Finally, sew the left facing and the zip shield together at the bottom edge. Then the side seams. Overlocked, Sewn & pressed open. I tripped up again on the waistband. It is now drilled into my brain to give up on tucking the top of the belt loops into the top seam. It totally gets in the way of ditch-stitching the waistband down. 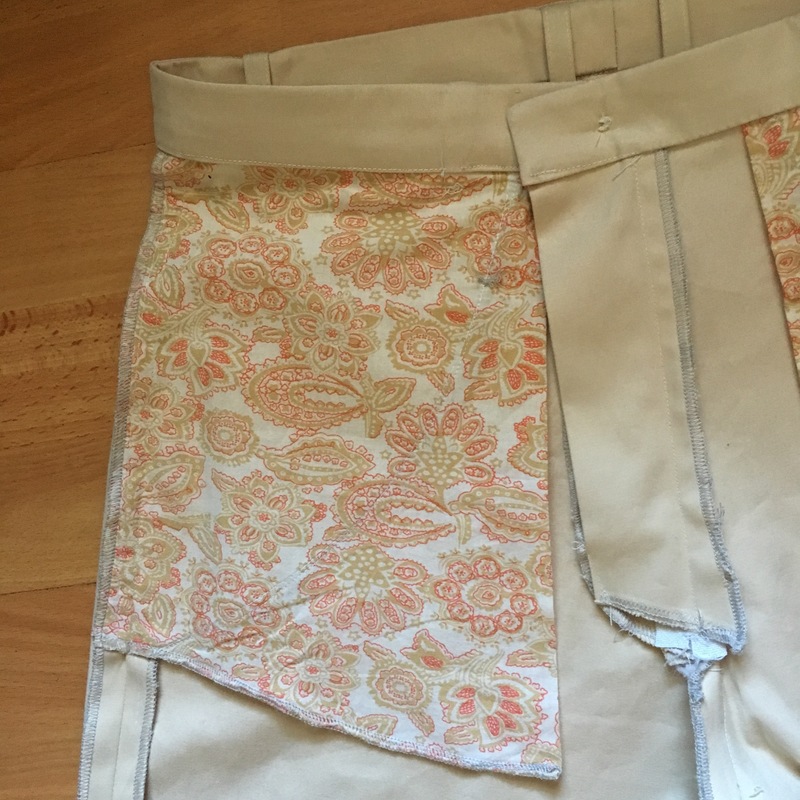 In my desperation to have minimal visible stitching I ended up slicing & retro-fitting the loops into the waistband and used a mixture of stitching in the ditch & hand stitching to get the waistband down. It looks great from the outside, nice and clean. But not worth the effort for the sake of a few stitches showing at the top of the belt loops. So, again, respect to the back waist seam, however bulky it may be itself; it is forgiving on the waist. Although they’re slightly snug on the waist, that’s looked after by the little bit of stretch and they’re really comfortable. Shape-wise, I like them. They could have a lower rise, slightly more tapered legs and I know I’d appreciate back pockets. They’re a good fit around the front & seat too. I now have a pair of casual trousers that aren’t jeans. Very useful indeed. I hope I can keep them clean. Sew the top of the belt loops after stitching down the waistband in future. Shift the side shaping into a back dart. 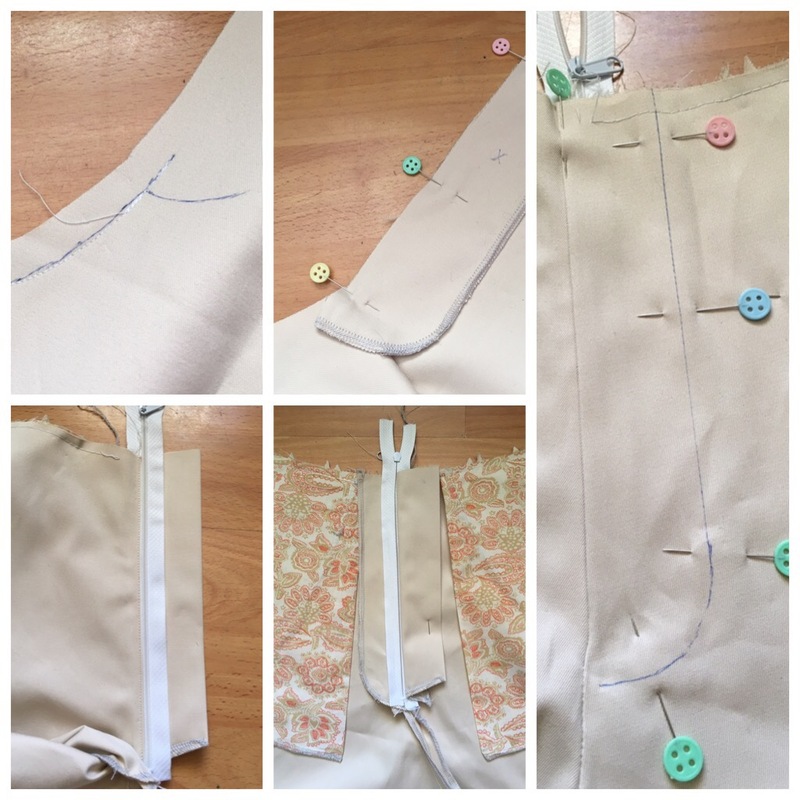 Or maybe add to the waist a little at the back seam. Take 6cm from the bottom to use 4cm for hem. Measure a one piece waistband once size is established. Don’t eat so many Fabs. Nice pants, and great photos. Please continue taking photos of yourself wearing your creations. You look great, and you must have someone who’s good at photography. You’re photogenic and seeing your creations on you shows your creations even better. Thank you, that’s really kind of you. It’s tricky getting good photos, my flat isn’t big enough & so I’m lucky to have a photographer-friend. 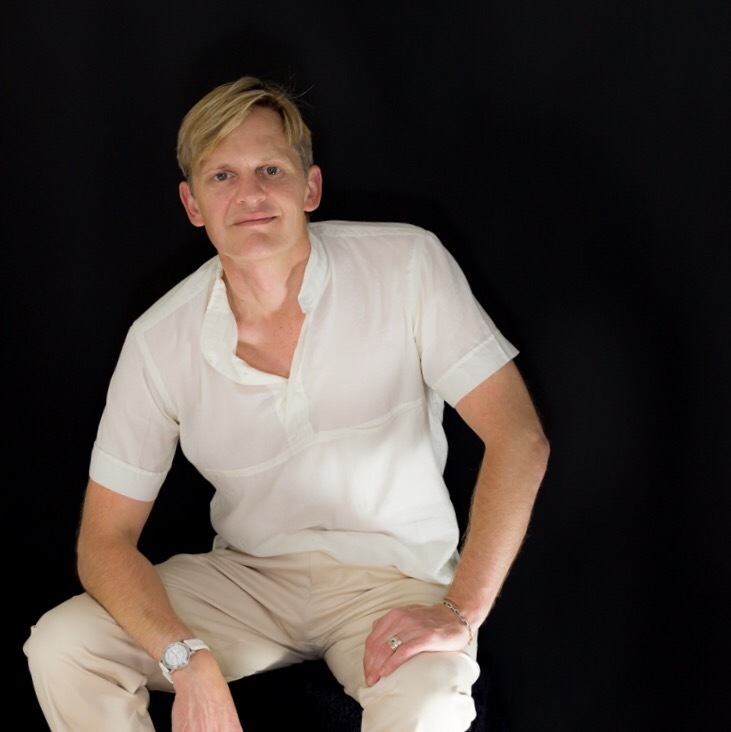 I’m so impatient though, I find it hard to wait for good pics before blogging… and I do hate having my picture taken! 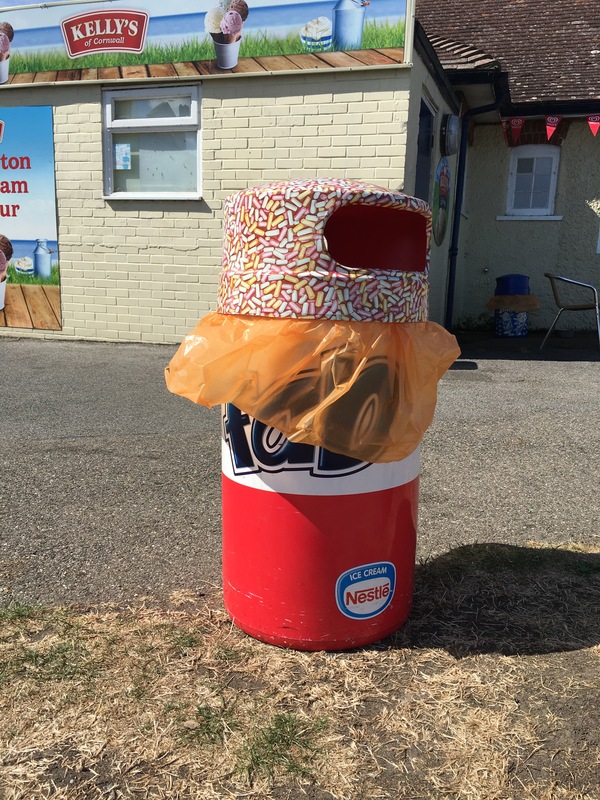 Another thing …. 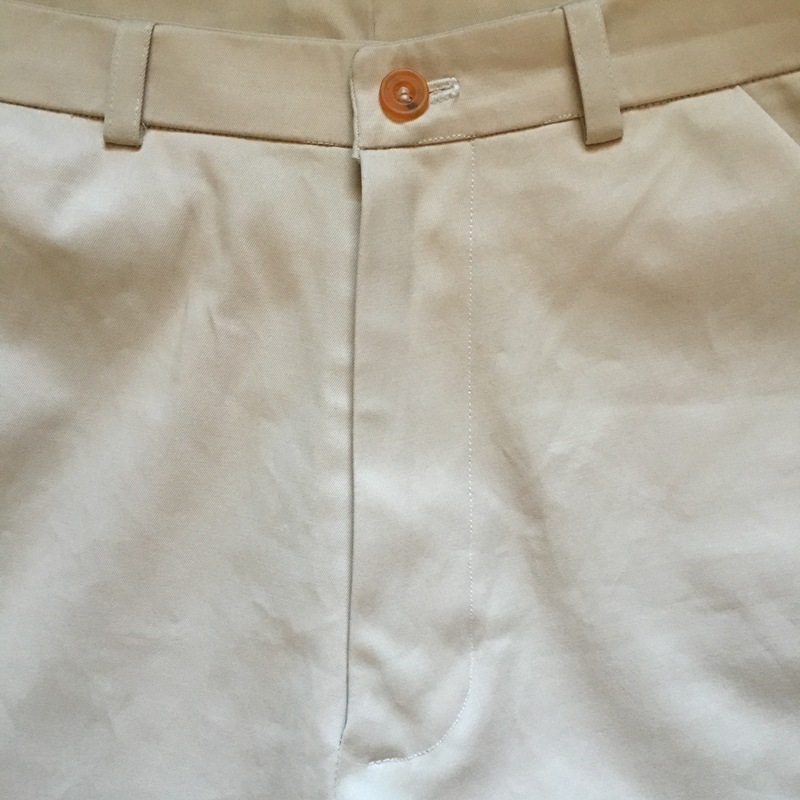 I wonder if you make your belt loops the same way I do mine – namely 2-thread overlock a 2cm strip into a tube then ram a biro down it to open the seam, press flat and and optionally top-stitch the edges? As far as I recall, I discovered this method for myself but it’s so simple maybe everyone does it this way. 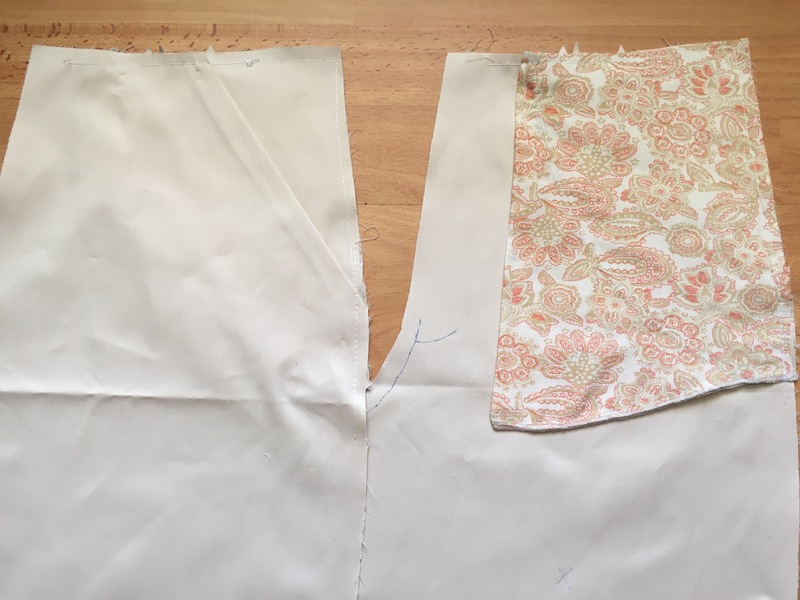 The great thing about the overlock/biro method is that you don’t need to turn the tube inside-out. The biro merely flattens the 2-thread overlocked edge and the tube is already right sides out. You can make a yard or more in one go without difficulty. If I may be so bold, you remind me of an Australian cricketer. Shane Watson I think , though I doubt he has ever made his own cricket whites. Haha, my own mother said I look like Gordon Ramsey so Shane is a step up! But let’s not talk about how I look or I might have to stop blogging! Lol! Fab chinos (see what I did there!). Thank you so much for all your encouragement and advice. Looking forward to my seeing adventure. Haha! Good luck at the weekend! You look fab! 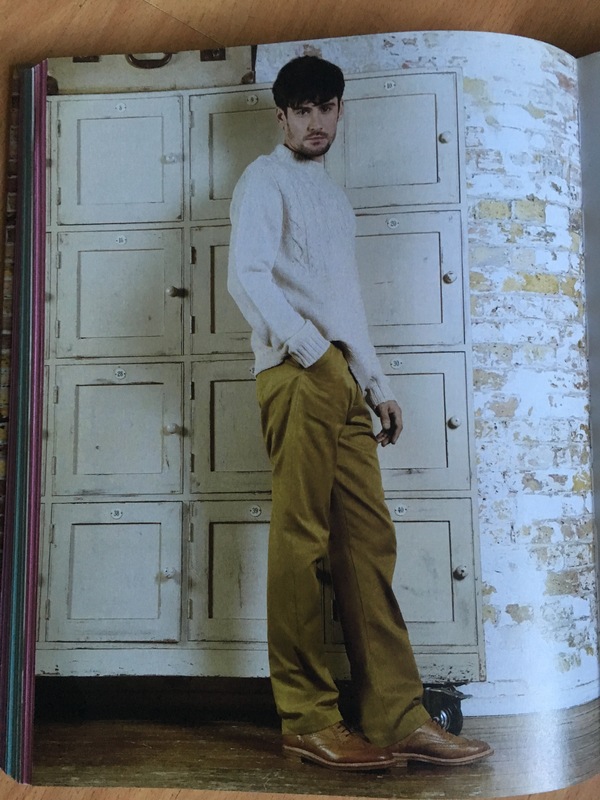 Great work on those chinos. Love the pocket fabric, I’m all for nice stuff that’s hidden. Pure luxury (like Coco Chanel said, iirc). 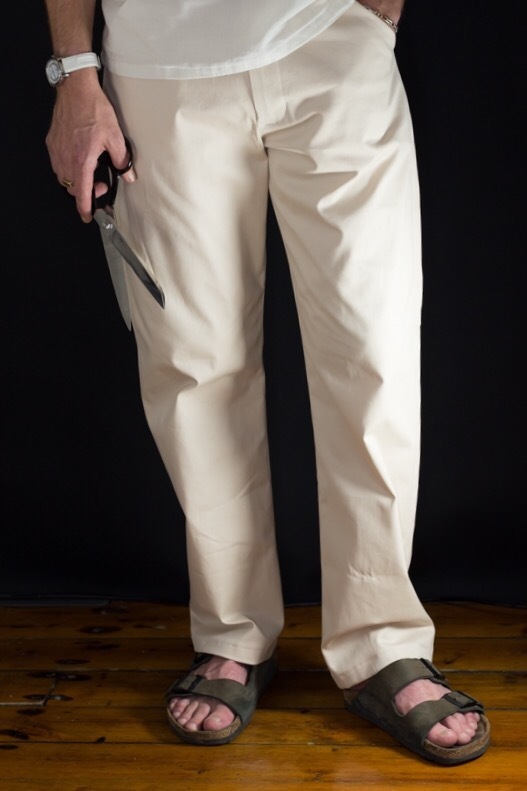 Those chinos look great on you, and I love the fabric you used for the pockets. Beautiful work, indeed! Thank you! The pocket linings are a worn out shirt a friend gave me, the buttons were re purposed long ago!